I have never cooked a Rendang curry. There, I said it. But I have a good reason. If I ever feel the need to indulge in the wonderful delight that is Rendang curry I just head down to Tivoli arcade in the Melbourne CBD and see Freddy at Nusantara. 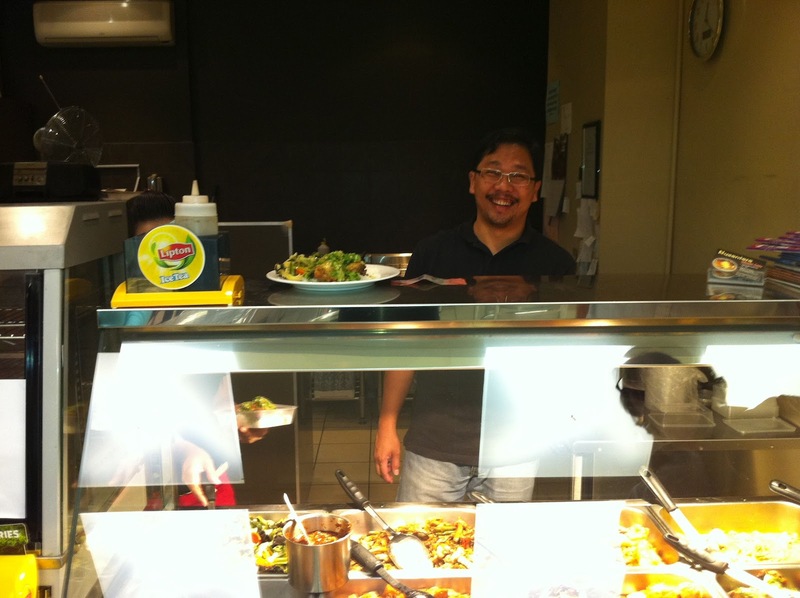 Freddy runs a simple but awesome operation that offers a fantastic array of Indonesian cuisine at super cheap prices. I used to have a food snob rule of not eating from bain maries, that was until I discovered Nusantara. 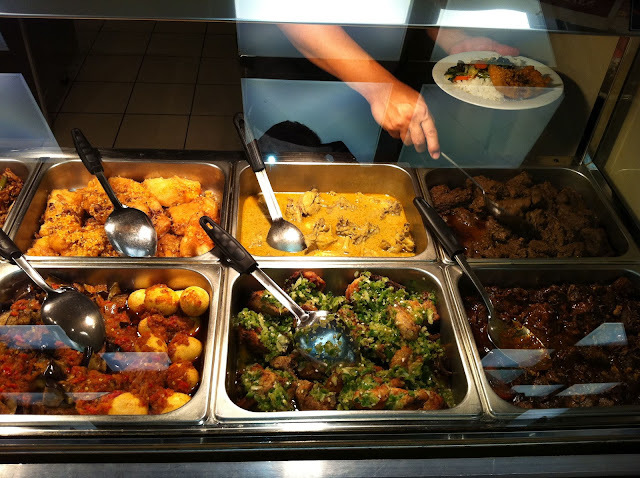 For $9.30 you can choose two meat and one vegetable dish from the bain marie served with a huge pile of fluffy white rice. There is a one meat and one vegetable option too for around $7 but I can never settle on only two dishes from the wide selection of offerings. The selection is constantly varying which makes it even more interesting as you really never know what you are going to get. 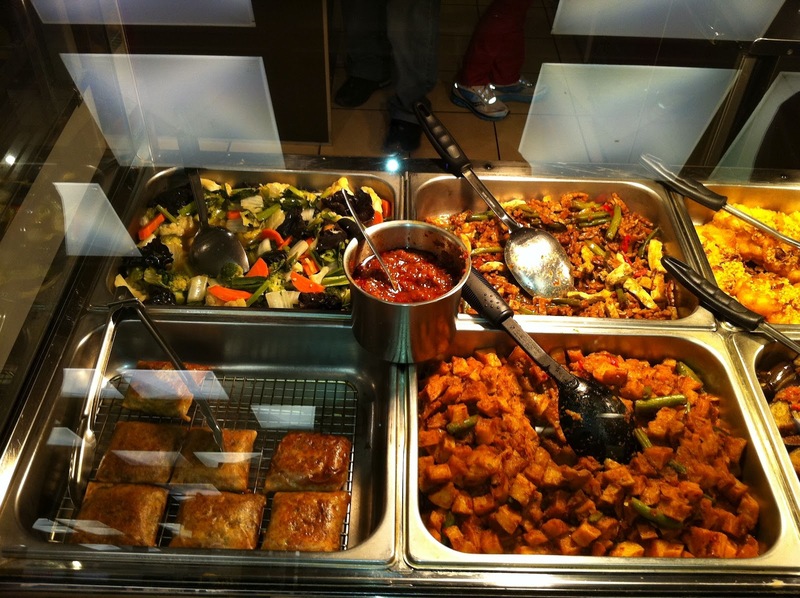 The changing offerings combined with the wide array of fantastically tasty dishes makes choosing difficult. My approach is to go often so I can slowly work my way through all of them. In my opinion, the top of the Nusantara tree is the Beef Rendang. I have never had a better Rendang anywhere. Other great dishes available are Chilli Shrimp Paste Beef (I reckon can smell whether this is available as soon as I enter the arcade from Bourke Street), Gado Gado, Stir Fried Tempeh and Vegetables, Green Chilli Chicken, Goat Curry, Udap (Fried Vegetable with Desiccated Coconut), a succulent fried fish dish, a delicious fried potato and bean dish, a very popular eggplant and boiled egg dish, a couple of different superb chicken curries and many more that I don't know what they are called. 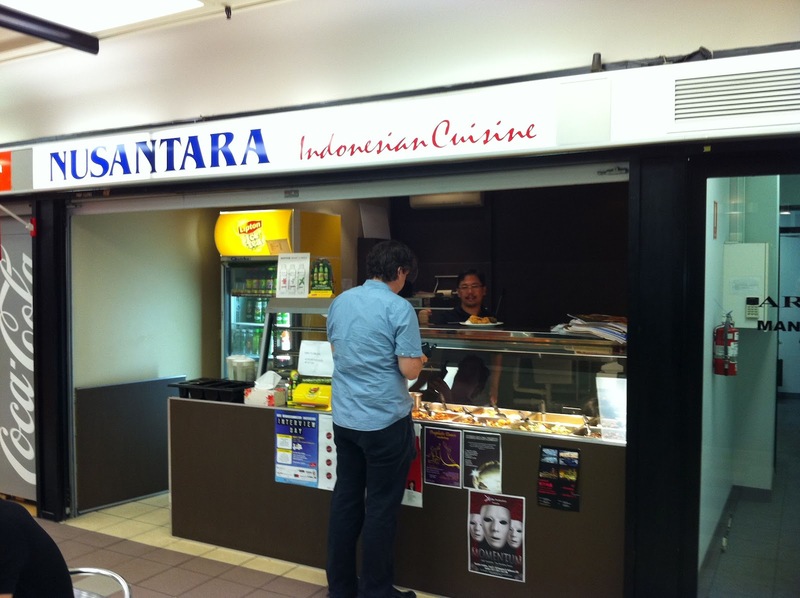 I was there the other day and tried the Murtabak which was also superb. Another little secret is that Freddy offers a generous meat only takeaway of a small serve for $6 and large for $9. 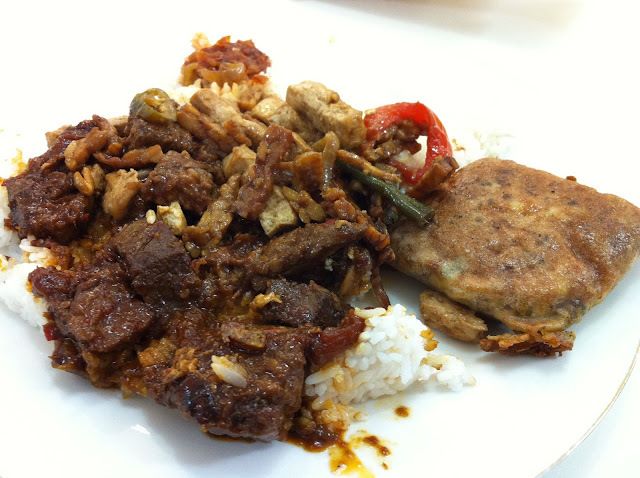 I often grab a container of the Beef Rendang or the Chilli Shrimp Paste Beef for $6 and take it home to eat with fried roti. I use a fantastic Katoomba frozen roti product that you just fry up straight from the freezer. Its an excellent product but I'll post about them another time. Here is a few pictures of the Nusantara bain marie to get you interested. Somedays I just grab a takeaway container to go back to the office which is what I did on my recent visit. So my meal picture is definitely not one for a glossy food magazine but I can guarantee you that it was absolutely delicious! Mmmmm Chilli Shrimp Paste Beef, Stir Fried Tempeh and Vegetables and Murtabak with rice and of course Sambal. Guaranteed to fill you up and have your colleagues popping into the lunch room to see what smells so good! None of the food is cooked onsite (except the rice). My understanding is that Freddy's very talented wife cooks everything at the Nusantara restaurant in Caulfield. I hope to visit there one day but Caulfield is a bit of a mission from where I live so I usually just get my Rendang fix from Freddy in his Tivoli Arcade operation. In my opinion Rendang is one of those very special dishes that has no peers. Don't get me wrong, I love a Thai curry and could never choose over Mussaman and Rendang, I just choose to enjoy both! When it comes to describing Rendang I like Rick Stein's explanation, "There's nothing quite like a Rendang: hot and spicy but rich in coconut with a delightful sweet and sourness from tamarind and palm sugar". 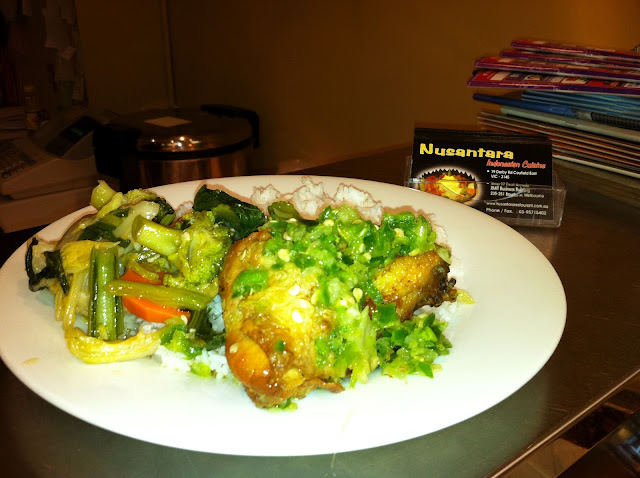 If you have never cooked a Rendang, or even worse never tried a Rendang, get yourself to Nusantara! You won't be disappointed, and say hi to Freddy for me. This looks amazing! The bain marie is so colourful and pretty too. Checking this out soon for sure. Thankyou Lauren, I couldn't help myself and went back again yesterday! I reckon the photos got to me too.